Devon Dental, Inc has been providing you and your family with comprehensive dental care since 1994. At our modern Dental Office, we value our patient relationships. We strive to develop lifelong relationships by combining the latest dental technology with a professional and compassionate staff. Operated and owned by Dr. Nina Sanai, Devon Dental is committed to providing exceptional dental care for patients in Rogers Park, Evanston and surrounding areas. Because our patients’ needs come first, we offer a comfortable environment and individualized care for your dental needs. We make sure to know each patient personally, and their expectations and goals for dental care. From a routine check-up to the most complex periodontal surgery, we are committed to making sure that you and your family have the best oral health. Dr. Nina Sanai, D.D.S. is a 2000 graduate of the Northwestern Dental School, and she earned a bachelor’s degree in chemical engineering in 1993 from University of Illinois at Urbana Champaign and graduated with honors with a masters degree from University of Illinois at Chicago. She has completed a 2 year general practice residency program at the University of Illinois at Chicago. Her focus was hospital dentistry and special needs patients. With her gentle approach to dental care, Dr. Sanai enjoys taking the time to listen and talk to her patients in order to provide them with the highest quality treatment. She is dedicated to lifelong learning, by taking continuing education courses (C.E.) 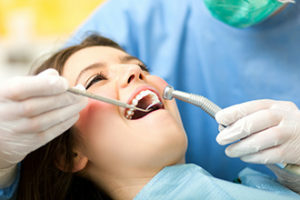 to make sure she is up to date with her dental knowledge and advancements in dental technology. Dr. Sanai has two sons and she lives in Northbrook. Her personal interests are landscaping and interior design. Dr. Rachel Cohn received her bachelor’s of science degree in biology from Penn State University. She then went on to earn her dental degree from Temple University graduating in 1998. 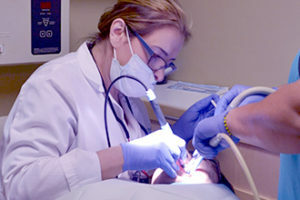 She enjoys all aspects of dentistry, especially working with children. She has been practicing at Devon Dental Surgery since 2000. In her spare time, she enjoys running playing the flute, watching sports, and spending time with her family which includes a daughter and a son.